Glaciers are the largest reservoirs of fresh water on Earth. Many glaciers store water as ice by snowfall during the colder seasons and then release it later in the form of meltwater from glacier melting during summer temperatures. The glacier meltwater is an important water source for plants, animals, and humans during those seasons without adequate precipitation, especially during those summer seasons in the arid region of central Asia. Thus, Tien Shan is also known as the “water tower” of central Asia because of its wide distribution of glaciers. For example, assuming the densities of glacier ice are 900 kg/m3 and 1000 kg/m3, respectively, and then 1 m3 of ice can be melted to 0.9 m3 of water when it absorbs enough energy. Due to the sensitivity of glaciers to climate change, they are often regarded as a good natural indicator to assess climate change. For example, glacier melting will be aggravated when there is a rise in air temperature, while it will be mitigated or stopped when there is a cool in air temperature. The glacier melting will be accelerated when the air temperature rapidly increases, leaving a large amount of meltwater and increasing the runoff during the specific period. In many studies, glacier retreats have long been found since the 1950s — for instance, the retreat of Urumqi River Glacier No.1 (Fig.2), located in Chinese Tien Shan. To better understand the storage capacity of China’s glacial resources, the compilation of the first and second Chinese Glacier Inventory was carried out by Chinese glaciologists during the periods 1978–2002 and 2007-2014, respectively. As shown in Fig.3, the last results indicated that 7934 glaciers distributed across the Chinese Tien Shan (i.e., eastern Tien Shan), with a total area of 7179.77 km2 and a total volume of 707.95±45.05 km3. Yanjun Che, a Ph.D. of glaciology from the Northwest Normal University and Associate Professor at Yichun University, and his collaborators focused on the glacier change and its response to climate change across the Chinese Tien Shan. Based on the two Chinese Glacier Inventories, the changes in glacier area, volume, and Equilibrium Line Altitude (ELA) were calculated by several common methods. Meanwhile, the two meteorological datasets from the China Meteorological Data Sharing Service Systems were taken into consideration by using the trend analysis methods (e.g. Mann-Kendall trend test and Sen’s slope), and other statistical methods were also used to discuss the relationship between glacier variation and climate change. During the period of 1960s-2010, ~90% of the glaciers in the Chinese Tien Shan showed a significant decrease in terms of glacier area and volume. In general, the change in ELA of a glacier can quickly respond to climate change. We also found that the ELAs of 71.58% of glaciers in this region have increased. Our conclusion demonstrated that the glaciers saw a significant mass loss, creating a lot of melt water for the local and downstream region. 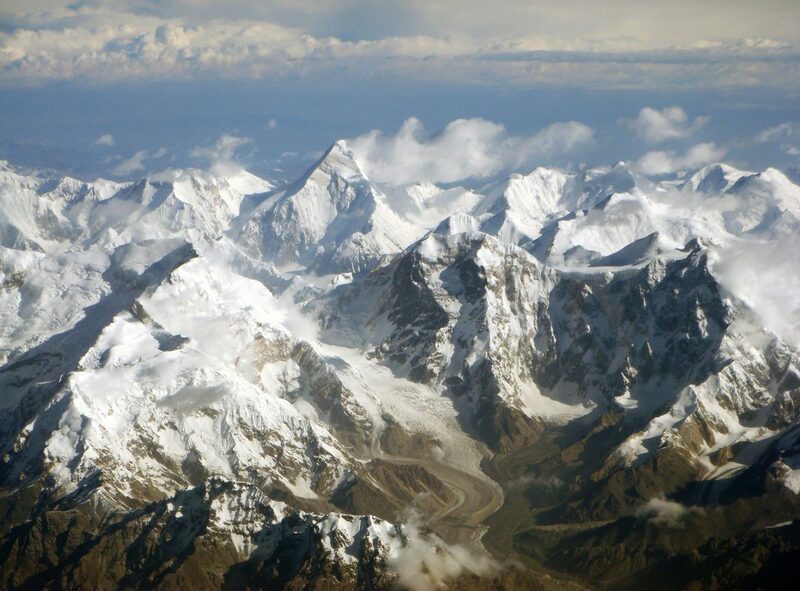 Through global warming, the climate of Chinese Tien Shan has triggered a warming trend. Precipitation significantly increased from 1961 to 2010, which, however, did not result in any significant changes in the ratio of annual snowfall to total precipitation across the Chinese Tien Shan Mountains. That is, the glacier mass was decreasing due to local warming, while the feed (e.g. snowfall) of the glacier was not increased. Thus, we can conclude that the glacier retreat mainly resulted from the significant increase of air temperature in the Chinese Tien Shan. In addition, the glaciers in the Bogda Mountains showed the strongest retreat, while the increase of air temperature in this region was not the most significant among the regions of Chinese Tien Shan. Based on the statistical analysis, we found that this region was covered with more small glaciers, and they were more sensitive to climate change. These findings are described in the article entitled Quantitative evaluation of glacier change and its response to climate change in the Chinese Tien Shan, recently published in the journal Cold Regions Science and Technology. This work was conducted by Yanjun Che (Northwest Normal University; Yichun University), Mingjun Zhang (Northwest Normal University), and other collaborators. Yanjun Che is a researcher at Northwest Normal University in Lanzhou, China. Their research area focuses on climate science and ecology. Mingjun Zhang is a researcher affiliated with Northwest Normal University in Lanzhou, China. Their research focuses primarily on climate change, isotope hydrology, and hydrological process.